We strung together two solid weeks in a row to close the regular season. Now we will try and do the same for the bowl games. As you may notice, I picked a lot of dogs in these games. 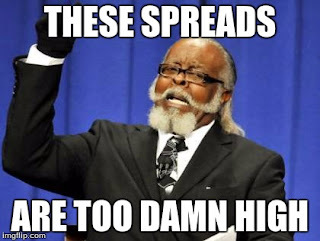 Let's see if these spreads are indeed too damn high. When applicable, home teams in BOLD. While it may not appear these teams have much of a history on the surface, septuagenarian fans of both teams likely remember their yearly battles as members of the Border and later Western Athletic Conference. Arizona got called up to the Pac-8 (now the Pac-12) conference in 1978 and the teams have faced off just five times since. In fact, New Mexico won the last two games (in 2007 and 2008) and both losses were quite costly to the Wildcats. The 2007 defeat kept the Wildcats out of a potential bowl as they finished 5-7 and the 2008 loss likely prevented the Wildcats from finishing in the final AP Poll. The teams paths have diverged since that 2008 game. Arizona rebounded to finish 8-5, and played in bowl games in both 2009 and 2010. A step back in 2011 cost Mike Stoops his job, but the Wildcats upgraded by grabbing Rich Rodriguez as his replacement. They have played in four consecutive bowl games under his watch including last year's Fiesta Bowl. After last year's surprising run to the Pac-12 title game, the Wildcats struggled in 2015, posting an average Pac-12 offense, but finishing tenth in the twelve team league in yards allowed per play. The absence of Scooby Wright certainly contributed to their struggles, but can one player, particularly a linebacker, make that much of an impact? For New Mexico, it has been rough sledding after the 2008 victory over Arizona. The Lobos dropped their final four games of 2008 to finish 4-8, head coach Rocky Long resigned, and the team whiffed on their next hire as Mike Locksley finished with about the same number of scandals as wins during his time in the Land of Enchantment. Bob Davie was lured out of the ESPN booth to right the ship, and while the Lobos were instantly competitive, they won just eleven games over his first three seasons. This season, the Lobos were 4-4 after eight games, but bowl eligibility seemed like a longshot as the schedule concluded with four eventual bowl teams, including Mountain West powers Boise State and Utah State. The Lobos pulled off huge upsets in three of those games, beating Utah State, Boise State, and Air Force as a double-digit underdog to clinch their first bowl bid and winning season since 2007. I think the Lobos are a good play here for several reasons. While Scooby Wright may indeed play for Arizona, the Wildcats are 6-6 for a reason. That being, they are not very good. In two of their three previous bowl games under Rich Rodriguez, the Wildcats have been solid favorites over teams from the Mountain West. They needed a furious rally to beat Nevada in this very game three years ago and they fell to Boise State last year. Plus, New Mexico is playing on their home field in their first bowl game in eight years against a team from a Power 5 conference. I don't have the gumption to call for an outright upset, but New Mexico will keep this one close. One of the tragedies of conference realignment is that some traditional rivalries have disappeared. BYU and Utah had been conference mates since their days in the Rocky Mountain Conference. From 1922 through 2013, with the exception of a brief hiatus from 1943-1945 when BYU did not field a team (wonder what could have been going on then), the teams played each season. The teams did not play in 2014 nor the 2015 regular season, but are scheduled to play next season and through 2020. Thankfully the powers that be decided a little more than two years was more than enough time between Holy Wars. Utah began the 2015 season 6-0 and rose to third in the AP Poll. However, they stumbled to the finish, losing three of their final six games. The defense was the rock for the Utes, ranking second in the Pac-12 in yards allowed per play. The offense struggled, particularly over the latter half of the season, ranking just tenth in the Pac-12 in yards per play. BYU also entered the AP Poll for a brief moment early in the season after victories against Nebraska and Boise State. Following a blowout loss to Michigan, the Cougars dropped out of the poll and were pretty anonymous for the rest of the year as they played just one Power 5 team after September (and lost). After the season ended, head coach Bronco Mendenhall surprisingly agreed to become the head coach of the Virginia Cavaliers. Mendenhall will stick around to coach the Las Vegas Bowl, which I guess is kind of awkward. Even with that delicate situation, motivation or lack thereof, should not be a factor for BYU here as they are facing their arch-rival. Utah is probably a little overvalued here as they are not nearly as strong as they were in the early part of the season. Plus the underdog has covered in the last five games in this series. Look for that trend to continue. San Diego State began the season 1-3. Sandwiched between the expected road defeats to Cal and Penn State, the Aztecs lost at home to FBS neophyte South Alabama. However, once conference play began, a practically new team emerged. The Aztecs won all their regular season conference games by at least 14 points and then squeaked by Air Force in the Mountain West Championship Game to win their first outright conference title since 1986. The Aztecs were strong on both sides of the ball, ranking second in the Mountain West in yards per play, but were a prohibitive number one on the other side of the ball, allowing nearly a yard less per play than the second best Mountain West defense (Utah State). The Aztecs are also 30th in the latest AP Poll, so a win over the Bearcats could move them into the final poll for the first time since 1977. And speaking of the Bearcats, Cincinnati was far and away the best offense in the American Athletic Conference, but failed to contend for the conference crown thanks to a poor defense (ninth in the league in yards allowed per play) and a propensity for turning the ball over (their 23 in-conference turnovers were second most in the AAC). San Diego State will be without starting quarterback Maxwell Smith who was injured in the regular season finale, but Christian Chapman filled in quite well in the Mountain West Championship Game. Plus, San Diego State only throws the ball a little more than 18 times per game (122nd of 128 FBS teams). They prefer to rely on their running game and stand a good chance of having two backs with more than 1000 rushing yards after this game. Look for the Aztecs to win this one outright. I believe the 2015 season served as a great referendum on Marshall head coach Doc Holliday. While I question some of his in-game decisions (I remember him eschewing a fourth down attempt with a lead that could have won the game against in-state rival West Virginia and don't get me started on his OT strategy against Middle Tennessee this year), after losing a great deal of pieces from a dominant 2014 team, the Herd were in contention for the conference championship up until the final weekend of the regular season. The offense predictably declined, but still ranked in the upper half of Conference USA in yards per play (sixth). Meanwhile, the defense ranked second in the conference in yards allowed per play. A win in this prestigious bowl would give the Herd ten wins in three consecutive seasons. To get there, they will have to take out a Connecticut team playing in their first bowl game since getting trounced by Oklahoma in the Fiesta Bowl five seasons ago. Like Marshall, the Huskies are led by their defense, ranking fourth in the AAC in yards allowed per play. However, unlike Marshall, their offense is not even competent. Outside of a 40 point outburst against UCF, the Huskies averaged just under 16 points per game in their other eleven contests. Marshall played well defensively in every game save their regular season finale against Western Kentucky. Connecticut does not even play the same game as the Hilltoppers. Points will be at a premium here, but Marshall should win by at least a touchdown. As you may have heard, this exhibition will be the final game in the storied career of Frank Beamer. While Beamer has certainly been one of the best coaches in the history of college football, it was probably time for a change in Blacksburg. After playing in the ACC Championship Game in 2011, capping a remarkable run of five division titles in seven seasons, the Hokies have gone just 16-16 in the ACC over the past four years. The majority of the time, the weak link of the football team was the offense, and 2015 was no exception. The Hokies ranked twelfth in the conference in yards per play. Only Wake Forest and the historically bad offense in Chestnut Hill were worse. The defense was stout, but not elite, ranking fifth in the conference in yards allowed per play. The result was yet another mediocre finish in a division they previously dominated. The Hokies will look to send Beamer off with a victory against a Tulsa team led by first year coach Philip Montgomery. Montgomery is an Art Briles disciple, having served as Baylor's offensive coordinator before getting the Golden Hurricane head job. He brought the fast pace and tempo to Oklahoma, as Tulsa ran the third most plays per game (83.3) in college football. However, the offense only marginally improved over their 2014 showing. The defense also marginally improved, but was still poor, ranking eleventh in yards allowed per play (or next to last in the AAC). So how did the Golden Hurricane triple their win total despite modest improvement? They can thank the schedule makers (and the precipitous decline in Orlando). The Golden Hurricane beat five teams (Florida Atlantic, Louisiana-Monroe, SMU, Tulane, and UCF) that combined for a 10-51 record. I expect Virginia Tech to have one of their best offensive showings here, but nearly two touchdowns is too much for them to be laying when not playing at home. Would you believe these two traditional powers have only met one previous time on the gridiron? That game was the Sugar Bowl following the 1982 season where number two Penn State defeated number one Georgia to win their first national championship. The stakes here will not be quite as high. While Georgia plays in the SEC, if you took away the uniforms and the big 'G' on their helmets, you might confuse them for a Big 10 team this season. Their defense is pretty good, ranking fourth in the SEC in yards allowed per play, but their quarterback is limited as a passer (when not playing South Carolina), and they have a pretty good running game. The one thing Georgia will not have in this bowl game is Mark Richt on the sidelines. Richt was let go after the regular season ended and Bryan McClendon, a former Georgia receiver and current receivers coach will lead the team in the bowl game. Penn State, on the other hand, has been hard to get a grasp on this season. The Nittany Lions have solid peripherals, ranking third in the Big 10 in yards per play and fifth in yards allowed per play. However, against the three best teams on their schedule (Michigan, Michigan State, and Ohio State), Penn State was mostly non-competitive, losing those games by a combined 79 points. The Nittany Lions have an alleged next level quarterback in Christian Hackenberg who has completed 56% of his career passes. Those numbers would be great in 1982, but are below average in the current offensive environment. Georgia should probably be the favorite here, but over their last six games, they have scored 9, 3, 27, 20, 23, and 13 points. It's hard to imagine them putting a lot of points on the board here. Couple that with the fact that Penn State head coach James Franklin was a Georgia tormentor at Vanderbilt, covering twice in three games, including an outright upset in 2013, and Penn State is the play here. The Cactus Bowl features one of the statistical darlings of the 2015 season. Despite a middling 7-5 record, West Virginia ranks as one of the better teams in the country by a few advanced metrics. The Mountaineers lost, and were not competitive, on the road against three of the stronger teams in the Big 12 (Baylor, Oklahoma, and TCU). They also took Oklahoma State to overtime at home and lost by a point on the road to Kansas State thanks to some vintage Bill Snyder wizardry. In the other seven games on their schedule, West Virginia outscored their opponents by 203 points. Some of their opponents were not great (looking at you Kansas and Maryland), but it does include a pair of bowl bound squads in Georgia Southern and Texas Tech. The interesting thing is that West Virginia won with their defense despite being coached by an offensive guru. The offense ranked just eighth in the ten team Big 12 in yards per play, but were fourth in yards allowed per play. Their opponent, Arizona State, is much more deserving of their 6-6 record. The Sun Devils were below average on offense, ranking seventh in the Pac-12 in yards per play. Of course, that didn't stop offensive coordinator Mike Norvell from getting a head coaching job. However, the real issue was on the other side of the ball where the Sun Devils ranked eleventh in yards allowed per play (ahead of only the putrid outfit at Oregon State). This game is in Arizona, so maybe the Sun Devils deserve a semi-home field adjustment. However, on paper, this looks like one of the bigger mismatches of the bowl season. Take the Mountaineers to win easily here. Strangers in the Field: How'd we Do? Back in August, I headed to Sin City and made a few wagers. 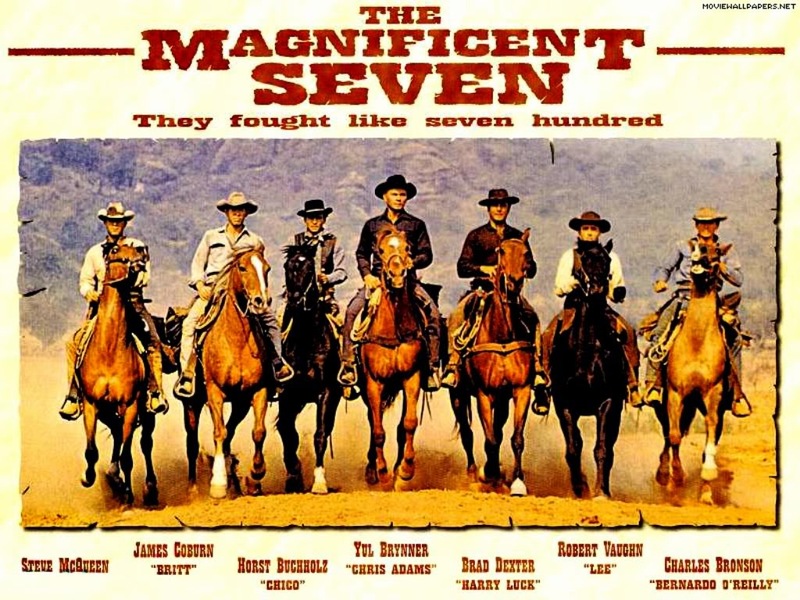 Now, four months later, we get to take stock of those wagers and see the good, the bad, and the ugly. In hopes of getting better at this prediction business, I am also going to take an unbiased look at the process and ideas behind each wager. As you know, a broken clock is right twice a day, just as the best laid plans of mice and men sometimes go astray. Process: Six wins seemed awfully low for a team with Miami's solid peripheral numbers from 2014. Result: Winner. Yes, one of their victories may have been tainted thanks to some dubious officiating, but the Hurricanes still would have hit even if you go back and award that game to Duke as some on the internet have suggested. Ironically, Miami was probably a better team in 2014, yet they won two fewer regular season games. Ah, the vagaries of a twelve game season. We'll call this a good bet. Process: South Carolina won eleven games in three consecutive seasons. Surely 2014 was a blip on the radar and not a sign of things to come. Result: Loser. The season began promisingly with a neutral site win against North Carolina. It was all downhill from there though. The coach quit, the team finished dead last in the SEC East, and for good measure lost to the Citadel. An optimist might point out that five of their losses came by a touchdown or less, but that is the only silver lining. This was a horrible bet. Process: The offense couldn't possibly be as bad as it was in 2014 and the Orange play in the ACC. Result: Loser. The Orange won their first three games, then lost eight in a row before winning their season finale for their lame duck head coach. Even though it didn't hit, I still think this was a good bet. I certainly didn't foresee the rise of South Florida (a non-conference game the Orange lost) and the Orange nearly beat Virginia and Pitt. This was a decent bet. Process: This is Texas. They should roll out of bed and win seven games. Result: Loser. If you had told me after I made this bet that Texas would beat both Oklahoma and Baylor, I would have assumed Texas would at worst be playing in a New Year's Six Bowl. Alas, those were pretty much the only highlights of the season for the Longhorns. Realistically, this bet was toast when Texas botched a late extra point to lose to Cal in their third game of the season. The victory against Oklahoma provided a glimmer of hope, but three weeks later, the Longhorns were shut out by Iowa State. This was another bad bet. Process: I figured the Aggies one of the more overrated teams in the country. Playing in the SEC West and facing Arizona State in the non-conference, I figured the Aggies could be headed for a 6-6 season. Result: Push. The Aggies lost four games, with each defeat coming by at least twelve points. They played three games this season outside their home state (and one was against Vanderbilt), yet they still lost four games. Despite the result, I think this was at worst a decent bet. I did not foresee Arizona State being hot garbage this year and the Aggies came very close to losing to both Arkansas and South Carolina. Process: West Virginia plays in the deep Big 12 and in 2015 had to play road games at Baylor, Kansas State, Oklahoma, and TCU. Plus their non-conference slate featured a tricky Georgia Southern and a Maryland team that was bowl eligible in 2014. Result: Winner. It came down to the first Saturday in December, but my main man Bill Snyder came through for me as the Wildcats upset the Mountaineers 24-23 to drop them to 7-5. Throughout my life watching college football, I have found that Bill Snyder is a lot like Jesus. Both were born roughly 2000 years ago and neither will ever let you down. All sacrilege aside, this was a bad bet. West Virginia is probably the best five loss team in the country with some metrics rating them a good team and others a very good team. I was fortunate this one hit. Process: As I mentioned earlier, I thought South Carolina would improve. Couple that with some expected regression at Missouri and I figured the Gamecocks would keep this one close. Result: Loser. Missouri won 24-10. Let me rant for a moment here. Missouri scored six, yes, SIX, offensive touchdowns in their eight SEC games. They scored three in this one. You can do the math. In their other seven games, they averaged less than half a touchdown per game! Thanks Jon Hoke and Lorenzo Ward. I'll send you an invoice. I guess this shouldn't have come as a huge surprise though as this Gamecock defense made Greyson Lambert look like the best quarterback in history two weeks prior. Still, if you go by the spread at kickoff, this was a good bet. By the time the game kicked off, Missouri was about a field goal favorite, so I was catching an extra three of three and half points. Process: Utah finished in the year end top-25 poll in 2014, but all their conference wins came by six points or fewer. Result: Winner. Utah won 27-12. The Beavers were a lot less competitive than I assumed they would be in 2015. Thankfully, they played well in about a third of their conference games, and this happened to be one of them. By kickoff, this line had jumped to 25 or 26 points in Utah's favor. I figured I would be ripping this ticket up for sure. I was home for Halloween and my parents do not have the Pac-12 Network. I was handing out candy and causally watching other games and I saw the Beavers were hanging around. Don't ask me how they did it, as I decided to refrain from keeping up with this game on my computer. Amazingly, the Beavers barely covered this number. This was a bad bet that worked out. Process: Georgia Tech was overrated heading into 2015. I figured they would win this game by about a touchdown. Result: Winner. Pitt won outright 31-28. I did a pretty good job of identifying Georgia Tech as a stock to short in 2015. When the game kicked off, the Yellow Jackets were only favored by three and they never came close to covering this larger number. This was a great bet. Process: Georgia Tech was overrated heading into 2015 and their games with the Hokies are always close. Result: Winner. Virginia Tech won outright 23-21. The Hokies fell behind 14-0 early, but Georgia Tech did not score an offensive touchdown the rest of the way. At kickoff, Georgia Tech was favored by one or two points, so I had an extra four points to spare with this line. This was a good bet. Process: Georgia Tech was overrated heading into 2015 and they have never won in Miami under Paul Johnson. Result: Winner: Miami won outright 38-21. Georgia Tech turned the ball over 50 times or so (okay, it was only four) and after an early lead, they never threatened to win this game. By kickoff, this game was a pick 'em, so I bought at a good price. This was a good bet. Process: Pittsburgh is good and baseball is random. Why not? Result: Loser. The Pirates finished with the second-best record in all of baseball, but ran into the Jake Arrieta buzz saw in the Wild Card Game. This was a decent bet. Process: Toronto had a great run differential in late July and would improve as their luck evened out. I had no idea they would get David Price. Result: Loser. Toronto got red hot and won the AL East. Alas, as I said before, baseball is very random and the Blue Jays lost in six games to the eventual World Series Champions. I still had a great time following this team though. I saw one of the more exciting playoff games in history complete with a baffling play that caused the stereotypically laid back Canadians to nearly riot. This was a great bet and if I could have sold this ticket like a stock once the playoffs started, I certainly would have. Process: I only have to get all seven right? Easy money. Result: I got 4 out of 7 right. I guess that's not too bad. But you don't win any money for that. So that is how the bets went and her is the tale of the tape. So we won a little money. The economist or investment banker might point out that winning twenty bucks does not cover the opportunity cost of a flight to Vegas and a hotel room. I would point out to that smug individual that my 401(K) lost value over the last quarter and I didn't even get to watch some 18-22 year-olds make that money disappear. And, as I'm sure Las Vegas had hoped, I was just successful enough to come back next year. We finally got back in the good graces of the football gods as we posted a 4-3 week. This is the last full (or partly full) Saturday of games for like nine months. Let's try and go out on a winning note. As always, home teams in BOLD. Southern Miss is one of the biggest surprises of the 2015 college football season. After hitting rock bottom in 2012 following the departure of Larry Fedora, the Eagles have progressed ever so slightly, winning a single game in 2013, three in 2014, and surging to nine wins this season. Head coach Todd Monken will likely be a finalist for some postseason awards. The Eagles are balanced on both sides of the ball ranking second in Conference USA in yards per play and first in yards per play allowed (both stats in league play). In fact, since losing to Marshall in early October, the Eagles have won six straight games with each victory coming by at least three touchdowns. Of course, the Eagles are an underdog in this game primarily because Western Kentucky has been quite impressive as well, in running the table in league play. The Hilltoppers are led by senior quarterback Brandon Doughty who has tossed 40 touchdowns for the second consecutive season. However, the Hilltoppers have gone from seven regular season wins to ten because their defense has gone from a liability to a strength. After allowing 6.7 yards per play against league foes last season (dead last in Conference USA), the Hilltoppers have allowed just 5.2 yards per play to conference opponents this year. Nick Holt, the former head coach of Idaho, has been the defensive coordinator both seasons, so one would think the talent level has improved. I expect this to be one of the more entertaining game of Championship Saturday, and while I wouldn't bet on Southern Miss winning outright, their per play yardage differentials are superior to Western Kentucky's. Look for the Eagles to keep this one close. The inaugural American Athletic Conference Championship Game will serve as a play-in game for the New Year's Six Bowl bid for the Group of Five. Neither the Owls nor the Cougars were favorites in the preseason to make it to the title game, though both were expected to finish in the top half of their respective divisions. I expected Temple to be an underdog when this line came out as Houston is hosting the game, but this spread seems like it is about about a field goal too high. Outside of their game against a red hot South Florida team, Temple has had a chance to win every game they have played. Their offense is not dynamic enough to run away from anyone, and that likely causes them to be undervalued by the general public. The Owls are also 8-3 against the number as a road underdog under head coach Matt Rhule. Look for that tend to continue here, and don't be surprised if they leave Texas with an outright upset. At 5-6, and a huge underdog on Saturday, Georgia State will likely look back on this season as one of missed opportunity. The Panthers have had by far their best season since joining FBS, but they have also lost home games to FBS newbie Charlotte and FCS Liberty. If they had won either of those games, they would be preparing for a bowl bid. As it is, the Panthers will probably have to settle for marked improvement thanks to some patented Trent Miles Third Year Magic. The Panthers will take on another program that is new to FBS. Georgia Southern moved up last year, and despite nine wins and a conference title, were not eligible to play in the postseason. That has been rectified this season as the Eagles have already accepted a bid to the GoDaddy Bowl. Even when they were struggling through their first two seasons as an FBS program, Georgia State was a strong play as a road underdog, and this year they have been even better. The Panthers are 13-3 against the number as a road underdog and 11-2 as a double digit road underdog. The Panthers will be motivated to get to a bowl and upset their in-state brethren. They won't win, but they will stay within three touchdowns. Remember the good old days of Warhawk football? It wasn't that long ago when Louisiana-Monroe was America's Team. In 2012, the Warhawks beat Arkansas and put a scare into both Auburn and Baylor. The Warhawks went 8-5 in 2012 and followed that up with another bowl eligible 6-6 campaign in 2013. However, since then, the Warhawks are just 5-19 and have struggled mightily on offense. The Warhawks have been held below 20 points 13 times in 24 games and are averaging just 18.5 points per game against FBS competition. Their struggles cost them their coach a few weeks ago. The good news for the Warhawks is that they should be able to put some points on the board against a New Mexico State team that is allowing over 45 points per game this year. Despite their struggles defensively, the Aggies have managed to win three games (or thrice as many as the Warhawks). Louisiana-Monroe is the worst team in the Sun Belt and it is shocking to see them favored against anyone. This should be a competitive game, but since you are getting three points, the Aggies are the play. As I have written numerous times on this blog, I have a great reverence for Kansas State head coach Bill Snyder. Perhaps my affinity for The Wizard has clouded my judgment here. However, since returning to the sidelines in 2009, the Wildcats have been money in the bank under Snyder. They are an incredible 49-25-1 against the number when facing FBS teams since 2009. Many of those games have begun with the Wildcats as underdogs and ended with an outright victory. In fact, it has happened 15 times, including twice against West Virginia. This is not a vintage Kansas State team, but playing at home and needing a win to guarantee bowl eligibility, I think they are a solid play here. This rematch of the 2009 SEC Championship Game (and 2008, 1999, etc.) appears to be a mismatch. Alabama is one win away from entering the College Football Playoff for the second consecutive year (only Ohio State with the assistance of much chaos could join them as repeat offenders) after winning nine in a row, with eight coming by double digits. Meanwhile, Florida has struggled mightily the past few weeks, barely putting away Vanderbilt, South Carolina, and Florida Atlantic before losing by a humiliating final score against their arch rival. The Gators have averaged just 4.3 yards per play and scored just 55 total points in those four games. One might figure points would be at a premium against an Alabama team that has allowed just 102 points in their nine-game winning streak. This may come as a surprise, but I too expect Florida to struggle scoring points against the Crimson Tide. However, I think this number is a little high considering the game is at a neutral site. If the game were in Brian Dennehy Stadium, I could fathom a line this high. As it is, I think Florida is a shade undervalued, and I expect their defense to keep them (relatively) in this game. Appalachian State is probably the best team in the Sun Belt, but thanks to their head-to-head loss to Arkansas State, the Mountaineers will probably have to settle for a second place tie in the league. The Mountaineers have one final tuneup before they prepare for their inaugural bowl game. The Mountaineers will play in the Camellia Bowl, which happens to be the bowl game South Alabama played in last year. Spooky eh? At 5-6, South Alabama is playing for a bowl game and should be sufficiently motivated. The Jaguars are also competent enough on defense to keep this one within three scores.